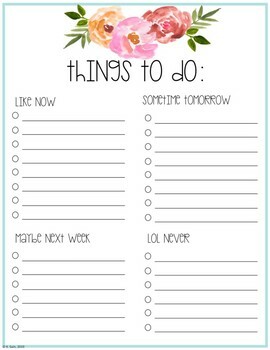 This "Things To Do" list is adorable, funny, and most of all, useful! I like to print these out for the week and keep one on my desk or hanging near it. It is a cute addition to your desk as well as a fun motivation to get things done--mostly.